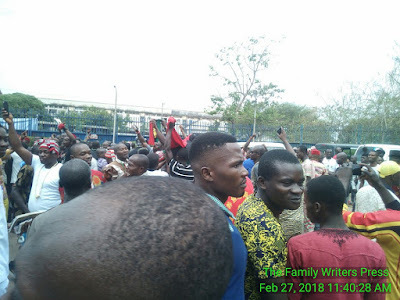 The Nigerian police in Enugu on Tuesday 27th, February 2018, further proved how unskilled and unprofessional they are by shooting teargas and live bullets on the innocent citizens of Biafra at a cultural event hosted by ECA in Enugu state, Biafraland. 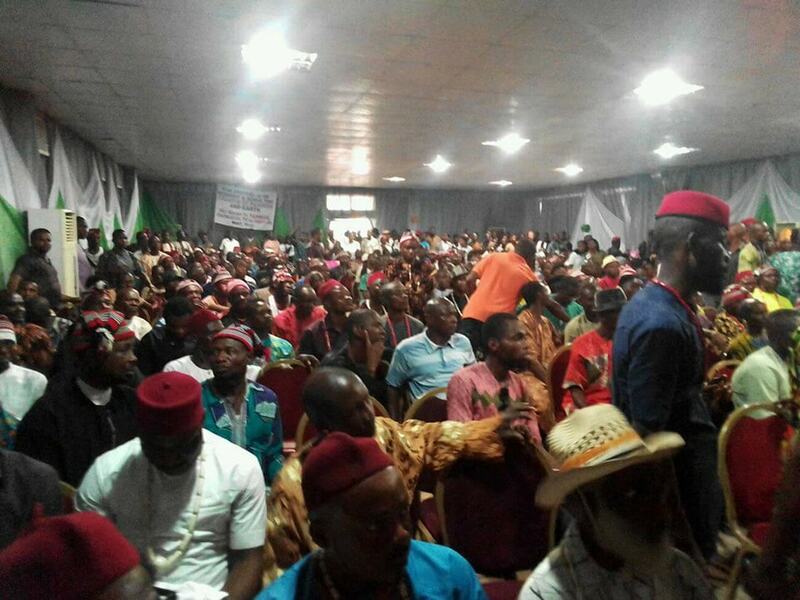 It is no longer news that Biafrans have since rejected the call for Nigeria's restructuring and the much touted indivisibility of the fraudulent state called Nigeria. The people who were invited by the Ohaneze Ndi-Igbo, led by Chief Nnia Nwodo at Enugu to discuss the true position of Ndi Igbo and Biafran people in the country took to the street to protest and show the entire world how displeased they are over the maltreatment and marginalization meted on Biafrans by the Nigerian government and to further show their unrelenting resolve to get Biafra restored. The peaceful protest turned into a tragedy following the arrival of the Nigerian police and SARS, who came from nowhere, to the Presidential hotel road Ogui New Layout Enugu and started shooting live bullets and throwing teargas canisters on innocent unarmed Biafrans who had no option than to scamper for safety. No casualty has been recorded as at the time of filing this report. The world should take note because the Nigerian government and Ohaneze Ndi-Igbo have connived to eliminate the entire citizens of Biafra.